Happy Holidays. I hope you’re enjoying the last week of the year and getting ready for the new one to come. Today is my last post in 2016 and as in year’s past, I want to review the goals I set back in early January. I’ll grade my success, or lack thereof, as I talk about what I accomplished from my list. I’ve been setting and reviewing goals for quite a few years. If you’re interested, here are my review posts from previous years. Next week I’ll share the goals I’m setting for 2017 and I’ll offer links to earlier posts where I did the same. As I’ve said in the past, I find the practice of setting goals helpful in creating a road map that points the way when I’m not sure what to work on after I finish a project sometime during the year. My plans often change during the next year, but I still find it valuable to spend some time thinking about the big picture. The reviews keep me honest. They get me to see what I actually worked on and what I avoided, which leads me to ask myself some hard questions about what I really want from my business. My answers to these questions help me revise my goals for the following year. With that said, how did I do with my 2016 goals? 2016 has been another year of transition for me as I shift from a provider of web design and development services to someone who creates products for sale. It’s been my overarching goal for a couple of years now. When I set goals for this year I grouped them around different domains I own. I had goals for this site, goals for my forum, and goals for a new site I hoped to launch. I also added a few general goals that weren’t specific to any of the sites. Here are the groups and specific goals I set. There are eight total goals and I’ll give myself a point for each one I successfully accomplished. Without running through the exercise I already know my grade will be much lower than usual. As I often say in these posts, the year brought unexpected changes and I spent most of 2016 focussed on one goal at the exclusion of others. I also realized that several of my goals relied on completing one goal first. I didn’t complete the prerequisite early in the year, which kept me from getting started on the others that relied on it. I set three major goals for this site. The first I didn’t work on at all. The second is the one I started early in the year and didn’t look at again until a couple of weeks ago. I completed one part of the third goal, but nothing more. Nope. Nada. Zilch. I didn’t do this at all. I thought about it a lot, but that’s hardly the same thing. The specific goal was to have one new book for sale. I didn’t mention it, but I also wanted to rewrite a a section of my book about Design Fundamentals to publish a second version. I didn’t do either. I’ll give myself credit for one thing. I’ve been writing more longer form series instead of individual posts. Most of what I’ve written here this past year could serve as the draft of a book, which feels like progress toward publishing books. That said, I can’t give myself credit for having written or published a book this year, which means I didn’t complete this goal. I started a content audit in late January. I thought about what information I wanted to collect, such as post title and URL, and I thought about my purpose in running the audit. I found a few WordPress plugins that made it easy to export the information I wanted and I set up a spreadsheet with that information along with additional columns for notes about the content. My main goal with the audit was to collect the information to help me decide what could be turned into books, whether specific content meets some purpose, and how I might improve what’s here to help in my business transition. Once the spreadsheet was set up and filled with meta data about all the posts I’ve written, I stopped working on the audit. I forget why I stopped, but the longer I didn’t get back to it, the easier it was to not get back to it. A couple of weeks ago as I started thinking about this and next week’s posts, I dug out the spreadsheet and I’ve now added some of the notes I intended to make back in January. Unfortunately this was the prerequisite for several other goals and the delay between starting and finishing kept me from working on some of the other things I wanted to do this year. I could technically say I finished this, but I’ll give myself 0.5 points, since what I finished was a lite version of what I set out to do and because I waited so long in the year to get back to it. I always start the year by completing one goal, usually one that won’t take much time. It feels good knowing I’ve accomplished at least one thing early in the year. This year the early goal was one of the site improvements I wanted to make. Here are the improvements I mentioned. I removed the Work section right away. If memory serves, the section was gone by the end of the first week of 2016. It made no sense to promote services I no longer offered so I removed my portfolio, client testimonials, and assorted details across the site. However, I didn’t make any of the other site improvements. I wanted to work on the content audit before reworking the archives page and making changes to the navigation as I expected to remove some content and rearrange how some was organized. The Book section of the site is waiting for more books, which is my explanation for not working on it this year. Midway through the year I made a decision to shut down the forum here on the site. I’ve never done much to promote it or even make you aware it exists. It’s a barren place that only adds to the time it takes to load the site. Removing it shouldn’t take long, but I want to allow some time to make sure I don’t break anything when I turn the forum off. I know I’ve referenced the forum across the site and I tweaked code in one or two places that I’ll need to rewrite. My guess is this will be the project I work on to start 2017. I’ll give myself 0.25 points for this goal. I know 1 out of 5 is 0.20, but the specific projects are meant as examples of what I might do and not everything I need to do to complete the goal. This time last year I was talking to a couple of friends about building a larger site around the forum. Our plan was to write original articles to help attract a larger audience and work on different digital products we could sell through the site. Not long into the year I made the decision to put this goal on hold. I think it was sometime in early February when I decided and later in the month or early in March when we discussed it. We had been talking every other weekend about what we wanted to do and discussing concrete steps we then needed to take. We didn’t get a lot done between calls though. I think we all wanted to, but we weren’t able to give the forum the needed priority to do the work we needed to do. I thought it best to put our plans on hold. I said we’d revisit things in the fall, but fall is now officially over and I’ve yet to bring it up again. I did renew several potential domains we thought of using for the site and I have given some thought to the forum and what I’d like to do with it in the future. I’ll talk about some of what I’m thinking next week. As for a grade I have to give myself another 0, since the goal was to relaunch the forum with a larger site around it and that didn’t happen. My goal for this domain was to launch a site, which will be a place where I write more about creativity, mainly writing. I also want it to be a place where I can share stories I’ve written as well as some of the photographs I make. If you visited the site this time last year and visit it again now, you’ll notice it’s the same newsletter sign up form I had in place a year ago. There’s no new site. I did create a design and I developed a prototype. I want to make a couple of tweaks to the design, but it’s essentially done. Once I make the tweaks, it shouldn’t take long to finish developing the site. I also have outlines and notes for the necessary pages and ideas for regular content I’ll write once the site is launched. The thing is launching this site commits me to publishing an article every week or two and I didn’t think I could realistically do that at any point this past year. There is a positive side to this goal. The signup form is to receive the newsletter I send out once every three weeks. 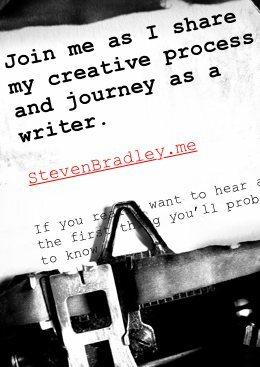 Aside from giving updates on my progress writing fiction and my journey as a writer in general, I’ve used the newsletters to work out the voice I’ll write with on the new site. The site may not have launched, but when it does, I’ll be much further along than when I’e launched sites in the past. Despite the positive, I didn’t launch a site. It’s another 0 for this goal. I also listed three goals that weren’t specifically tied to any of the sites above. I set this goal most every year. I’ll admit one reason I add it is because I’m confident it’s something I’ll work on throughout the year. It’s been an easy way to cross one goal off as completed. Having made that confession, this is the year I didn’t complete this goal. Somewhere in the middle of the year I stopped managing my productivity entirely. I found I didn’t need to stay on top of my projects and tasks as I have in year’s past. I worked more with a routine and some vaguely defined projects than I have in previous years. For example I didn’t need to manage tasks for a project like write a series of posts about SVG filters to remain productive. For most of the year I worked on the same few projects for weeks or even months at a time. I didn’t need to manage tasks. I needed to set aside enough time each week to work and I needed an occasional reminder and a periodic review of what I wanted to complete and when I wanted to complete it. That didn’t require day to day management of tasks. Much of the year I could simply wake up and work on the same thing I worked on the day before and at roughly the same times. Here or there I did have more to do, but I found it easiest to make a list at the start of the week or month and work off the list until everything was done, instead of using a productivity app. I’m not entirely sure how to grade this goal. Technically I didn’t improve my productivity system. If anything, I abandoned it. However, because I didn’t need the system this year, I may have discovered a better system for the kind of work I’ll be doing in the years ahead. This became my main focus all year. My goal behind this goal was to figure out how to incorporate writing fiction into my routine and then how to make writing fiction my priority. While I’ve been writing for a long time, writing fiction is different than writing non-fiction. It took some time till I could find a new routine. For the most part I now write fiction in the morning and I write non-fiction in the afternoon. When I started, I was lucky if even a half hour of the fiction writing time was productive, but now I can write fiction for several hours a day over several smaller blocks of time. It took a little while before I could get my writing projects in sync so I could do some research for a series while writing the a draft of a story and later in the month write a draft for the series while editing a newsletter and working on the structure of another story. With this site specifically I was able to get farther ahead of schedule. I’ve been running 3–4 months ahead most of the year. Whenever you’ve been reading one series, I’ve been working on the next one or sometimes that one after the next one. Being ahead like this allows me to work on a series for a couple of months and then take a month off to work on other projects. This is the one goal that I absolutely accomplished and deserve a full point for having completed. I had good intentions with this one. I thought guest posting would help bring in some of the revenue that would no longer come from clients. Early in the year I could tell I’d be able to get by financially in 2016 without needing the revenue and I didn’t seek out opportunities to write for other sites. I even turned a few opportunities down. I have agreed to work on what I hope will be a series of short screencasts. I’ve worked out the demo and the general outline for the series. I need to flesh it out a bit and I actually need to record the videos, which is something I’ve not really done before and expect will require a lot of practice and more than a few files that will be deleted and seen by no one other than me. But as is the theme this year, I didn’t complete this goal and it’s another 0 points added to my grade. 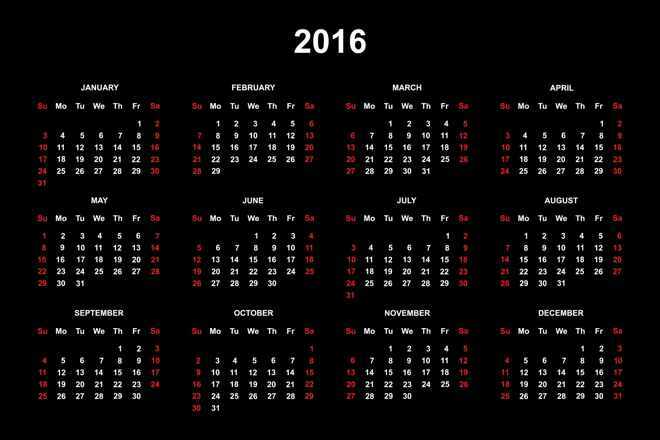 I can’t claim to have achieved many of my 2016 goals. I deserve a full point for the new writing rhythm and I think I deserve 0.25 points for the site improvements. I also think the 0.5 points for the content audit is fair. Finally I’ll give myself another 0.25 points for everything else. It seems unfair to deduct a full point for the productivity improvements as the nature of my work changed and I think I should get some credit for having maintained the newsletter for the new site, even if the site itself isn’t live. That means I earned 2.0 of a possible 8.0 points, which is certainly a rather poor grade for the year. Oddly enough, I not feeling bad about it. The point of this isn’t really a passing or failing grade after all. The point is in the exercise and not so much the result. Next week will be my first post for 2017 and I’ll share my goals for the year. I may not have accomplished all I set out to do in 2016, but the lack of success has led me to rethink a few assumptions I had and it’s leading me to a few new thoughts about the direction I want to take my business. I hope you’re enjoying the holiday season and I hope you have a Happy New Year in a few days. I’ll talk more about the new year and my goals for 2017 next week. Thanks Ryan. It’s mainly a matter of thinking of a few big goals you want to accomplish and then at the end of the year looking back to see how you did. I’m glad you enjoyed the post.